Apple today announced that it will hold its annual Worldwide Developers Conference (WWDC) from June 6th-10th at the Moscone West convention center in San Francisco. Conference passes are on sale now for $1599, and are expected to sell out quickly given past years' trends. "At this year's conference we are going to unveil the future of iOS and Mac OS," said Philip Schiller, Apple's senior vice president of Worldwide Product Marketing. "If you are an iOS or Mac OS X software developer, this is the event that you do not want to miss." Apple notes that it will hold over 100 technical sessions for developers, with over 1,000 Apple engineers on hand to provide support for attendees. Apple unsurprisingly is billing the event as being for both iOS and Mac OS X developers equally, following last year's conference that saw a heavy emphasis on iOS development. 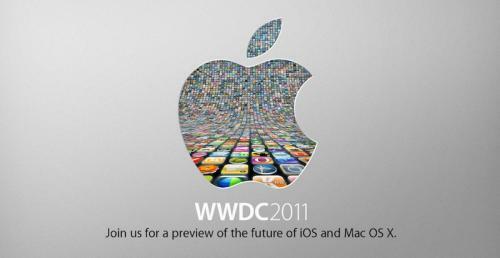 Mac OS X is of course set to receive greater prominence this year due to the impending release of Mac OS X Lion. The dates for WWDC 2011 do in fact nearly correspond to a "corporate meeting" discovered on the Moscone Center's event calendar in early February and suspected of representing the conference. The dates also match with a tentative multi-year convention calendar published by the San Francisco Convention and Visitors Bureau in April 2010. Ok so maybe off track but how much longer can the Darwin/Mach underpinings of both OS X and iOS last? How long till we get to a much better way of doing the lowest level of stuff that Apple starts transitioning the OS to a new kernal. Reading the wiki page for the Mach kernal it would seem many of Mach functions are either duplicated or at least extracted in to newer OS features like grand central. Plus they've put alot of investment in to the LLVM compiler chain. I guess I'm wondering if "the Future of iOS and OS X" doesn't involve Mach? Lion/5 being the last in that line. With Apple taking the WWDC to discuss what's coming after these two as much as what's in these two. You'd imagine that transition would be a two year public plan to make sure developers are getting themselves ready and it seems like Lion/5 will be in reasonable shape for those that need to delay a the transition for their own work reasons. Makes it sound like Apple will keep the two brandings to distinguish the two user experiences. Apple already overhauled the kernel in Snow Leopard, it's designed to last another decade or two. The kernel is fine and doesn't need to be replaced. It's the file system that needs to be changed out on the Macs. Also both cores of iOS/Mac OS X are based on the same OS X core. It's the middle/front ends that are optimized for the medium, iOS for touchscreen mobile devices and Mac OS X for computers with keyboard/mouse/multi-touch. I'd guess slim. I think it's far more likely that we see an iPhone 4s release before a release of an iPhone 5. Whereas apple could easily release an iPhone 4s with the exact same look of the iPhone 4 ... just more "under the hood". If we DO see an iPhone 4s release I'd expect more data storage (likely 32g and 64g), possibly faster processors, an improved camera and maybe a bigger battery. That way apple could continue to pump them out using the same model as the iPhone 4, and keep people happy (at least mostly happy) all in one fell swoop. I just think it's unlikely that we'll see an iPhone 5, so soon after the release of the white iPhone 4. It just doesn't make sense to me that Apple would (finally) start the white iPhone 4 into full production, only to stop it completely a couple months later with the introduction of a completely re-vamped iPhone 5 model. A few more weeks though, and we'll know for sure what they've got up their sleeve.